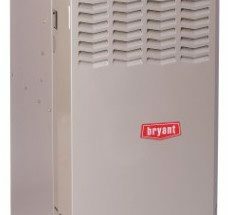 A Nordyne Gas Furnace is a quality product, no matter under which brand-name it goes Nordyne, a subsidiary of Nortek, manufactures heating and cooling equipment in the Midwest and produces HVAC equipment for both the light commercial and residential markets. They manufacture systems for site-built homes under various brand names such as Westinghouse, Frigidaire, Maytag and Tappan amongst others. 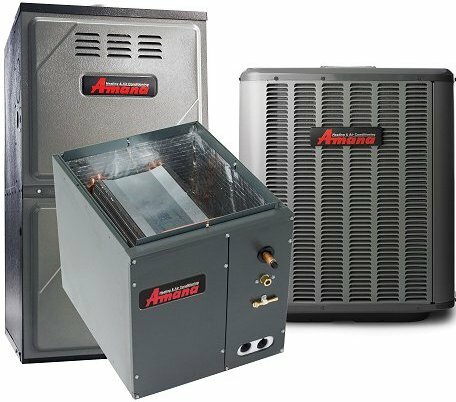 Nordyne also manufactures most of the HVAC products for the manufactured housing industry, which go under the brand names of Miller and Intertherm. To understand how the Nordyne Gas Furnace came about we need to take a brief trip down memory lane to when Nordyne started as the International Oil Heating Company way back in 1919. St. Louis, located in the Mississippi Valley, had such a problem with the by-products of excessive coal-burning that they had to burn candles during daylight hours. Nordyne reckoned that they had the solution with their oil-burners which made less pollution than coal. Not satisfied to leave it there, Nordyne continued to come up with more innovative products and in 1932 they introduced the “New International Blue Flame Burner” which used oil fuel burners to convert coal and wood stoves to gas. This was received with alacrity, as it saved a lot on energy costs and because the draft in the stovepipe could be shut so that the heat did not escape and therefore kept the home very cosy. Nordyne is the only company to use Demand Flow Technology® (DFT) in the manufacture of their quality products. Every product is triple-checked at every step of the manufacturing process. A 100% computer-processed check follows the human checking to ensure there are no errors in the final analysis. Nordyne ensures that each and every Nordyne Gas Furnace, no matter which market it is manufactured for is made of only the best and most reliable components. Every unit is tested to check the safety, reliability and efficiency levels, including combination systems. This way the user is assured that every system they purchase that was made by Nordyne works as it should. Most of the manufactured homes that are built today will contain a Nordyne Gas Furnace, and usually a cooling product as well, under the brand names of Intertherm and Miller. These products have been around since the early 1900s and are renowned for boasting some of the firsts in this type of technology. Nordyne is a brand that is known and lauded by those in the manufactured homes industry as being the best of the best. A Nordyne Gas Furnace is manufactured under the strictest conditions and sold to independent distributors who sell them nationwide to independent licensed dealers and contractors who in turn market and install at consumer level. Each brand site has all the consumer tips as penned by Nordyne to ensure that the consumer gets exactly the product promised by Nordyne. Gibson – A Gibson furnace is a Nordyne Gas Furnace which is marketed under the Gibson name. Gibson markets to the residential and light commercial industries and sells high, extra and ultra high efficiency gas furnaces. 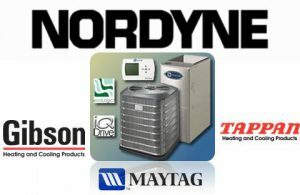 Maytag – Maytag became an Energy Star manufacturing partner in 1997, and in 2002 Nordyne licensed the right to sell their Nordyne Gas Furnace and other HVAC equipment under the Maytag name. These furnaces range between 80% AFUE and 97% AFUE. Tappan – They sell many a different model Nordyne Gas Furnace as well as other Nordyne HVAC equipment. Tappan furnaces come with an all-parts warranty which is valid for eight years and either a lifetime or twenty-year warranty on the heat exchanger. If the compressor should fail within the first 5 years the entire unit will be replaced. 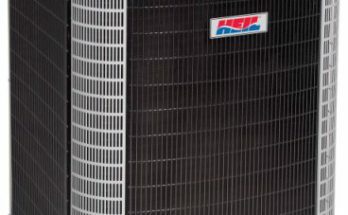 Westinghouse – They also sell HVAC equipment manufactured by Nordyne. Two of the models they sell are the 80% efficiency FG6TA gas furnace which has an adaptive Small Lite Control Board that increases ignition and heightens the performance of the furnace. 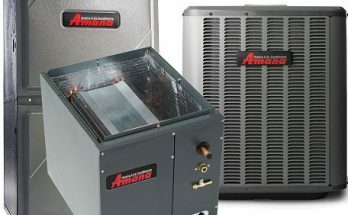 It has a 2-stage heater and a GE ECM Variable-Speed blower. This minimises the power bill. This model is CSA certified. Westinghouse also markets the popular high efficiency 92+ furnace. Westinghouse furnaces have an eight year warranty on all parts and a five year limited warranty on the heat-exchanger. This includes financing programmes, utility rebates, and warranty protection plans. Broan – Broan also sells Nordyne furnaces, and they have just released a new 95% AFUE furnace called the FG7SD/M, which is a single-stage constant speed model. It is available in downflow/horizontal or upflow models. It has an insulated blower compartment and SmartLite technology for longer igniter life. It also has diagnostic lights. NuTone – Just released the NuTone FG7SD/M 95% AFUE furnace which is a single-stage, fixed-speed model. It has insulated blower compartments, SmartLite technology and is obtainable in upflow/downflow and horizontal configurations. Many of these furnaces now sport the ecoLogic systems and are part of the “Go Green, Save Green” instant rebate program and federal tax credit on select products. The Demand Flow Technology® that is utilised in the production of every Nordyne Gas Furnace was designed using Just-In-Time theories and extremely precise internal quality control measures. DFT is an applied mathematical strategy used to determine and connect business processes in a flow and is customer-driven. A Nordyne Gas Furnace is designed and built to suit every pocket so there are standard efficiency furnaces, medium efficiency furnaces and high efficiency furnaces. This means that no matter your budget you will be able to find an affordable Nordyne Gas Furnace to suit your budget and your lifestyle no matter where you live or what the climate is like there.